Twelve singing games from twelve countries. 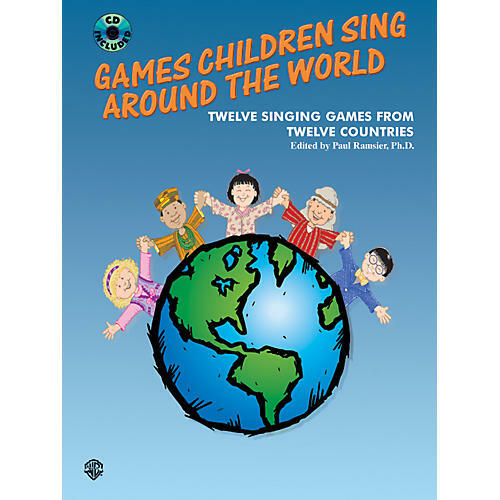 The 12 game-songs in this collection are among the most characteristic examples from a dozen countries, including Belgium, Poland, Cyprus, Finland, France, Korea, Greece and Switzerland. Verses are included in original language and in English. Dance symbols and phonetic pronunciation guide are both provided. The CD makes it easy for teachers and caregivers to teach and perform the songs in English or the original language or both! Published by arrangement with The World Leisure and Recreation Association. The book is dedicated to the children of all nations and cultures who, in sharing their spontaneity and joy as they play and sing together, erase the boundaries of politics and prejudice.